Ko Samui has been blessed not just with beautiful beaches but with wonderful underwater marine life as well. Other nearby islands are also havens for various marine organisms. 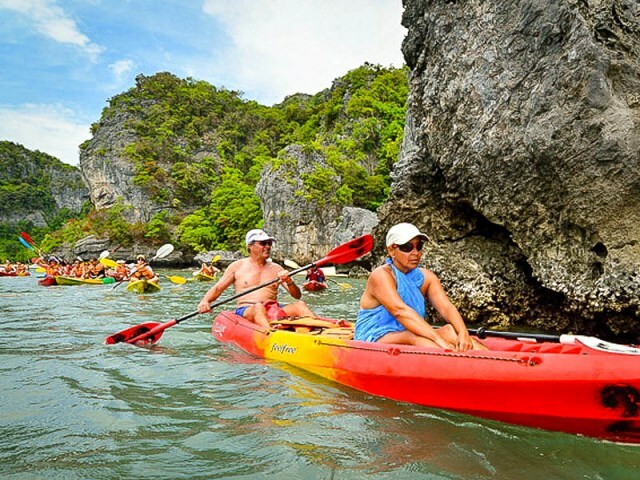 It is therefore no surprise that kayaking in Samui is one of the most sought after watersports activities. The town of Na Thon has a hidden treasure, one that many tourists who go to Ko Samui don’t know about – Namtok Hin Lat. 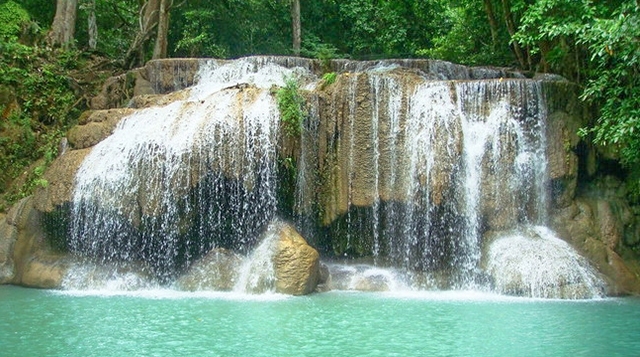 Although it is fairly accessible, it is not as popular as the other waterfalls on the island. You can reach the trail going up the waterfall by car or by motorbike. It is not difficult to find: you will see road signs directing you to it as you drive along. When you get to the place, you can leave your car on the small parking area by the trail. For many years, Maenam Beach has been known as a backpacker’s destination because of the affordable accommodations that are found there. The village is lined with at least 7 kilometers of fine white sand, with coconut trees growing along the coastline. Found on Ko Samui’s northernmost end, it gives its visitors a stunning view of Ko Phangan. 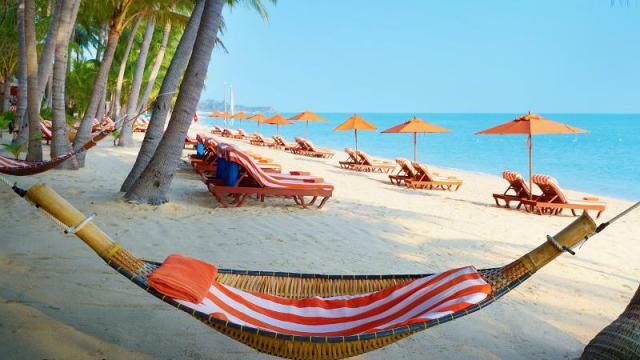 Its location also affords its visitors the best sunset views in Ko Samui. Wat Khunaram, Ko Samui houses the body of a mummified monk named Luang Por Daeng Piyasilo, also called Phra Khru Samathakittikhun. 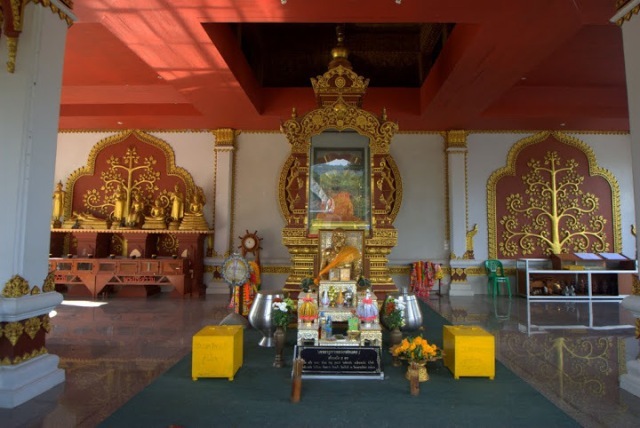 Luang Por Daeng became a monk when he was 20 years old. Two years later, he left monkhood and got married to a woman from Lamai and had six children by her. His years as a layman were not enveloped with poverty. Instead, he had a well to do family. He himself was well respected by his peers. The island of Ko Samui is set amid beautiful seas, and together with its neighboring islands, it creates the perfect environment for water sports like diving, snorkeling, and sailing. If you want to experience the surrounding waters other than swimming but don’t want to go in the water, you can always try sailing. 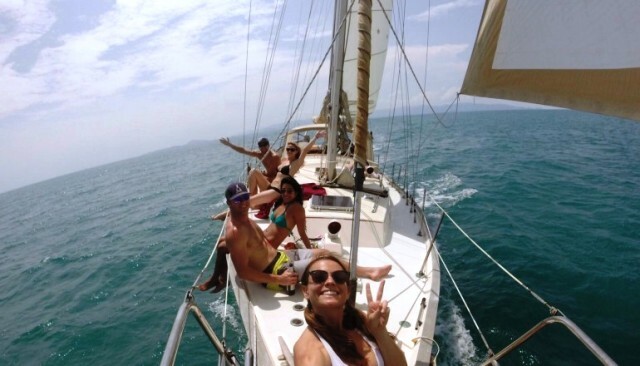 Whether it is your first time to do so or you are an experienced sailor, you will no doubt enjoy every moment as you go sailing in Samui. 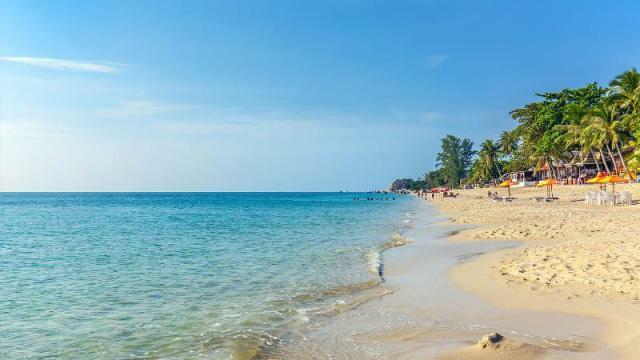 Next to Chaweng Beach, Lamai Beach is the second most popular beach in Ko Samui. It is smaller than that in Chaweng, but it offers a variety of good accommodations, restaurants, spas, and bars. The town of Lamai, which lies just 100 km from the coastline, is a quiet place. However, it has all the necessary establishments, such as mall, supermarkets, fast food restaurants, and banks.